GL Lighting is proud to present our range of LED Glass Bulbs which includes SMD Corn Cob Bulb and Spiral Globes. They are both available in 6000k and range from 3w to 36w. 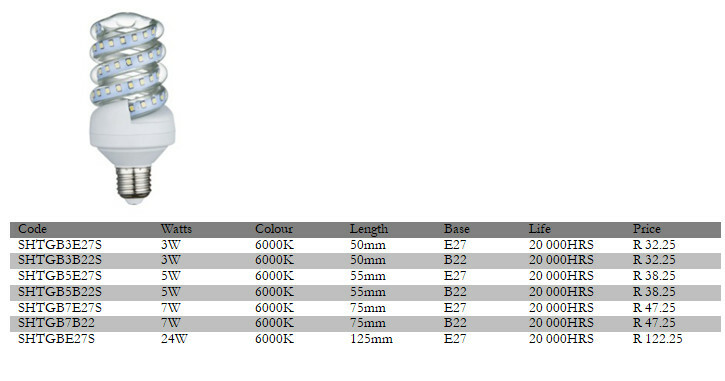 GL lighting’s range of replacement LED SMD Spiral and Corn Cob Bulbs. 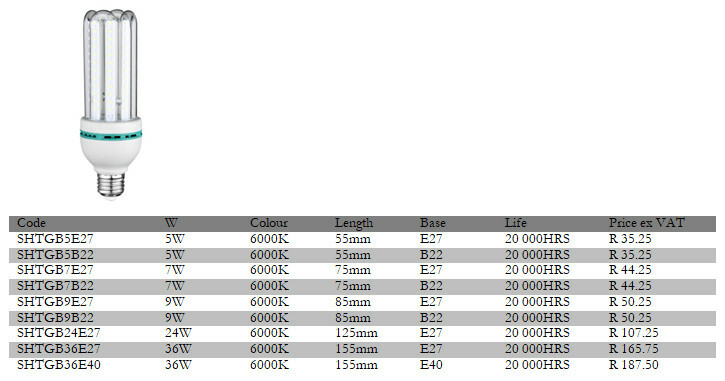 These bulbs come in a 3w to 36w in LED SMD Corn Cob and 3w to 24w in LED SMD Spiral. These come as a replacement bulb for E27, B22 and for E40 light fittings. We are based in Edenvale, Johannesburg, South Africa. We supply LED lighting to Southern Africa including Zambia, Botswana, Mozambique and Namibia. We also supply to South Africa which is including Cape Town, Durban, Pretoria and Richards Bay. These LED replacement bulbs come with a 20 000 Hr warranty. Please do not hesitate to contact GL lighting at www.tubelights.co.za or info@gllighting.co.za .